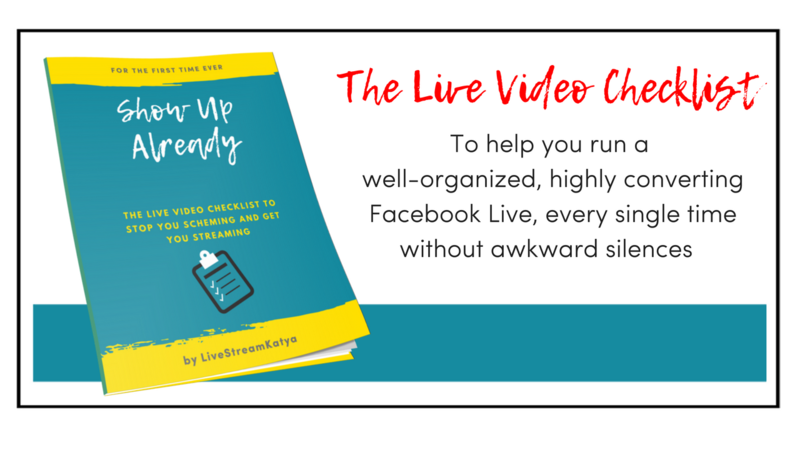 Not sure what to say or when in your Facebook live? Want to be a little bit more strategic with your broadcast content, so that you can convert more people? plan out your broadcast, which will allow you to have a flow, direction and professionalism. keep the viewers for longer because you won't be 'winging it' but will always have something to say. get compliments from people because they will feel like you've reached a new level in 'public speaking'. keep the audience engaged so that they feel nurtured, and as a result - more likely to buy your product/services. feel more like a PRO, clear with your intentions, and effective with your communication. The Live Video Checklist can be your best friend you NEVER go live without. Grab it while it's $7.